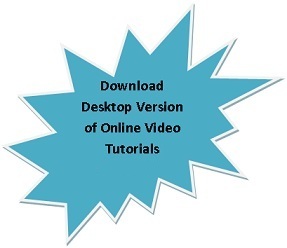 You can freely download the Desktop version (Trial) of online video tutorial from the below link. In the trial version all contents except video is disabled. If you need to enable the video you need to purchase a license from Buy Now section.